Mo-tivators is the worst health and fitness club in the country – run by Maureen – from a small hall in the middle of nowhere – attracting clientele with nothing to do. Fat and fabulous Jackie comes to get away from her philandering husband and brings her young sister Whitney along to keep her out of trouble. Donald comes because he secretly loves Maureen – he’s lost 12 stone so far – if he doesn’t ask her out soon there’ll be nothing left of him! Things seem to be on the up when Sophie, a researcher for a reality TV programme, comes to check out the club. But when a snowstorm arrives it brings with it revelations which will change their lives forever. Victoria Holtom as Sophie, who is not what she seems! Victoria is currently causing some Fairy Mischief playing as Tinker Bell in Peter Pan at Billingham Forum Theatre, this is her Fifth appearance in Pantomime here, previously playing Snow White, Fairy’s in Jack and The Beanstalk and Fairy Godmother in Cinderella. 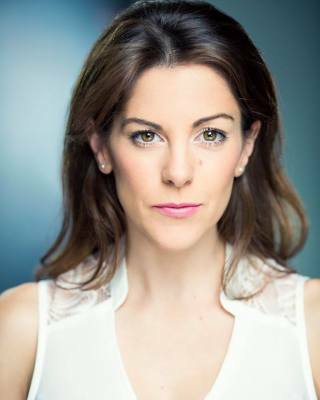 Victoria is originally from Billingham and trained in Acting Musical Theatre at Central School of Speech and Drama, London. 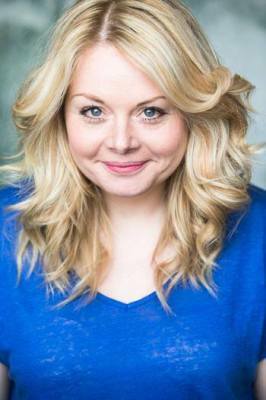 Her Theatre credits include Sylvia in The Dolly Mixtures at Customs House, Devisor in Warrior with Rhubarb Triangle Theatre, Allington Folllies with Canny Craic Theatre Company, and Dolores in The Wonderful World of Mr McCrumble, Arc Stockton, and Snow White at Leeds Carriageworks. Lead Cast in A Night in Wonderland. The Voice of Tomorrow at the Bloomsbury Theatre London, Ensemble in Cinderella at The Lyric Hammersmith; Young Mum in Photo Me at The Riverside Studios London; Principal Vocalist and Ensemble in Branded at The Old Vic; Jill in Jack and the Beanstalk at the Gaiety Theatre in Ayr and Jasmine in Aladdin with Theatre North. Victoria works regularly with Less is More Productions, most recently spending the Summer at the Edinburgh Fringe Festival playing Doreen in Stella. Also appearing with the Company in Bazaar and Rummage, MisCast Bard, Miss Crispy 1988, That Gay play and String. 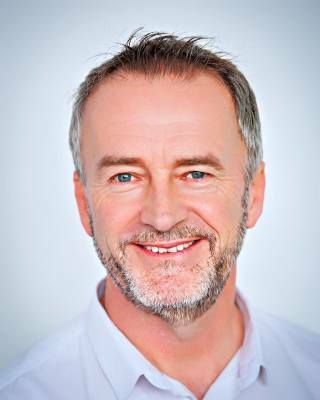 We are so pleased to have Mick working with us once again on Waiting For Gateaux, Mick will be playing Donald! Mick is absolutely delighted to be working with "less is MORE" again, he last appeared, in their production of "And A Nightingale Sang", as George, at the Middlesbrough Theatre in 2015 and last year he played the brilliant Bernie in My Night With Reg. ...Recent theatre credits include John O` Gaunt in tours(Yorkshire & Germany)of "Richard II", Falstaff in a pub tour of "Henry IV", Nick in "The Beggars of York" at York Theatre Royal, Alfie in "One Man Two Guvnors" and Ebenezer Scrooge in a Northern tour of "A Christmas Carol". Film work includes: Sid in "Love`s Best Habit"-Shakespeare Short Film Festival Stratford-on-Avon 2016, Peter Lumley in "The Great Yorkshire Bank Robbery"(2016), Richard Layton in "Fractal"(2017) and Paul in "Magdalene, A Girl Out Of The Blue"(2018). TV credits include a commercial for Glossop Caravans and a recent appearance in Coronation Street. You may also recognise Mick as a stripper on Emmerdale! That's right ladies a stripper! Mandy Wild – Studs – Hull Truck theatre (national tour) and Arc – Stockton.Shelia – The Shy gasman – Southwark playhouse.Maxine – Like a virgin – National tour.Sandra – Beautiful thing / Reggie Fluety – Laramie project – Hazel Pearson theatre.Denise – Miss Crispy 1988 – National tour.Sandra – Beautiful Thing / Jean – Your Home in the west / Helen Stott – A Nightingale Sang / Carol – Shakers / Edith - Blithe Spirit / Katy - Revengers - All at Middlesbrough Theatre. Jackie – Waiting for Gateaux / Rita – Educating Rita – Both at Customs House. Mama Elf – Once Upon A Christmas – Gala Theatre Durham. Denise – The Royal – ITV.Nancy – The Eustace brothers – BBC 1.Tracy – Bodies – BBC 2. Barbara – Mrs David – BBC 2.Sara – (Regular) – Rocket Man – BBC 1.Sandra – Dalziel and Pascoe – BBC 1. Wendie has worked in theatre since the age of 18, when she discovered what a thrill it was and decided that this was eventually to be her long-term career path, since then she has studied drama, taught drama, directed, produced, made the costumes and props, been front ...of house and back stage, made the tea and ate the biscuits, been the make up artist, operated the lighting and sound desk, built the set, sold the tickets, bought the tickets and bought the t-shirt (and worn it out!) 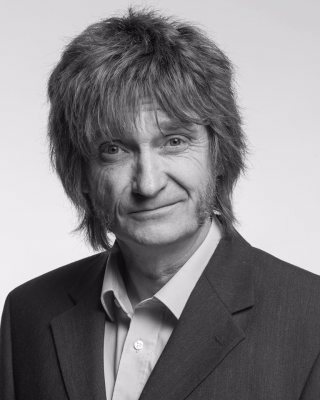 oh yes and has acted in lots and lots in both professional and amateur companies, most recently directing "The Perfect Murder" for Middlesbrough theatre amateur company and award winning pantomime "Frankenstein the Panto" for nunthorpe players. 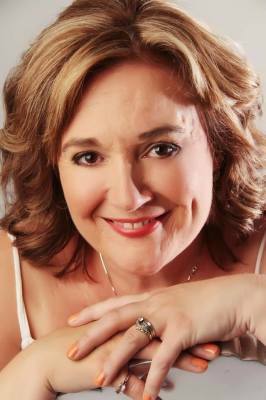 Theatre credits include, Annie in Calendar Girls, Gwenda in Bazaar and Rummage, Liz McCann in What I Did At School Today, Pam in Miss Crispy 1988, Arkadina in the seagull, Mrs Prentice in What the butler saw, Mamie in Little Women, Geraldine in The Vicar of Dibley. After Gateaux is finished she is embarking on another bout of directing at Middlebrough and Billingham. Wendie is thrilled to be working for Less is MORE again and hopes you love this very funny play as much as she does. 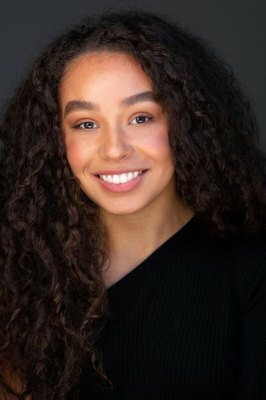 Here is the final cast member for Waiting for Gateaux and she has definitely been worth the wait! we give you the beautiful......Rochelle! Although this is Rochelle's first show with less is MORE she is certainly no stranger to the company! She completed two years on the Middlesbrough college Musical Theatre and Dance course and is no stranger to a film & tv set either! This is her theatre debut with Less Is More Productions in Waiting for Gateaux and is thrilled to be involved with an amazing cast! 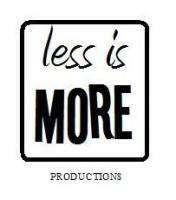 Philip is delighted to be working again with the amazing Less is more theatre company. He has worked for a multitude of companies, from small scale young people’s theatre, to main house provincial. In roles as diverse as aging policemen to the nightmares of children. Last year Phillip was being wrapped in clingfilm for a charity calendar!